The "Anders-Prize" is a student competition of the GfG. It owes its name to Prof. Dr. Fritz Anders (1919-1999), a founding member of the GfG and a pioneer of tumor genetics. The call is open for project teams of students from all biological fields of studies, who want to independently pursue research projects with a focus on genetics from the basic concept to the final presentation of the results. The projects must be of experimental nature or bioinformatics and can be from the fields of classical genetics, bioinformatics, human genetics, molecular genetics, population genetics, developmental genetics or any other area of genetics. The Anders-Prize is meant to be a counterpoint to the course of studies, which are mostly pre-fabricated and taught as if at still at school. The winning team is awarded a prize of € 500 and has the opportunity to present its project at the annual meeting of the GfG. The GfG will accept the costs (second class railway or economy airfare) only for one member of the winning team. 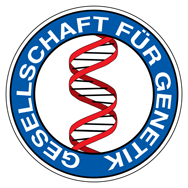 The mentor or at least some of the participants have to be a member of the German Genetics Society. The next call for tenders will take place in spring 2018.